A compilation of a number of David Chandler's videos analyzing the building collapses on 9/11, woven together with an interpretive narrative. This is a shortened 58 min version. The full version is available on DVD. For more information, see http://911speakout.org. SARA MALM FOR MAILONLINE reports, The Indian Catholic priest kidnapped by ISIS-linked terrorists in Yemen earlier this month was crucified on Good Friday, it has been claimed. Is the ISIS Behind the Brussels Attacks? Who is Behind the ISIS? The Pentagon Plane Puzzle film is a work-in-progress. This third version integrates David Chandler's presentation "Going Beyond Speculation - A Scientific Look at the Pentagon Evidence" with video of testimonies by 30 of the 180 known on-record witnesses to the Pentagon crash. It serves as a comprehensive preview of what will be in the final film. There are many new graphics and a few new movie clips which were not in prior versions of the film. Examining the official theories for the 9/11 WTC "collapses" and the denials of demolition evidence. Deliberate disinformation (false explanations) is something most people have no experience with, or only a limited appreciation of. In the case of 911, basic physics and observation debunks the disinformation surrounding the forensic proofs we see in the destruction of the three WTC buildings. This info packed video is very simple and straightforward. It's a window into what is an obvious cover-up. There is clear evidence of fraud. I am guessing that many people are still confused about what are fundamental facts. If justice had been served we would not have a War on Terror and no bombings in Europe. 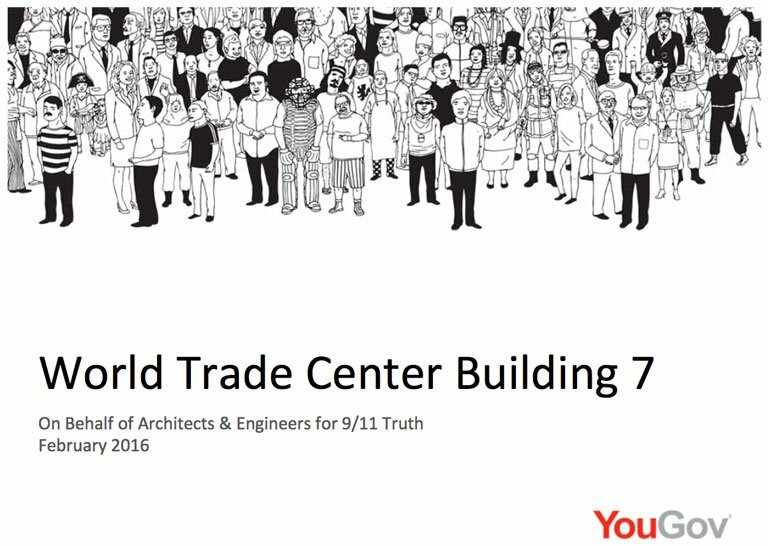 AE911Truth Webinars is a recurring four-part webinar series with founder and CEO Richard Gage, AIA. 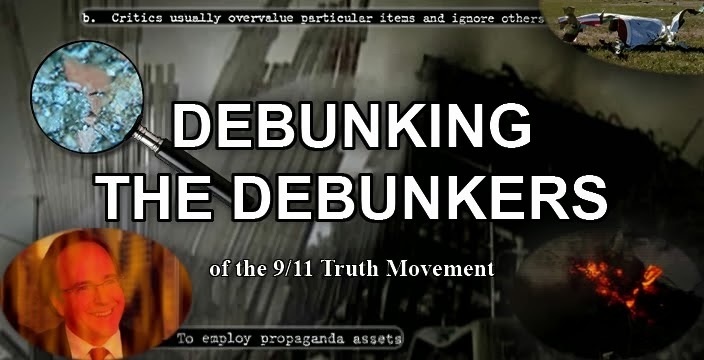 Using a visually redesigned 9/11: Blueprint for Truth slideshow, the series provides an overview of the evidence regarding the destruction of all three World Trade Center buildings. Visit http://AE911Truth.org/webinars for more information. I only caught the end of your discussion (15/3) about the US Presidential Election so I might be raising points you already addressed. I am writing to inform you about the real reasons Donald Trump is doing so well in the polls – outside of the mainstream media spin. The reason for Trump’s popularity he is targeting real issues (despite the corporate media claims he has no policies) and that these issues resonate with many US citizens. At the heart of the matter is the fact that the US economy is in crisis. There never was a recovery from the 2008 crash. What we have seen is jobless stock market recovery (QE), papered over with cooked employment figures. The real US unemployment rate is actually around 20% (at one stage Trump said it was 40% but he misunderstood the actual number). Once you understand this situation then a lot of things about the election make sense. The last point on my list, that Trump is railing against professional politicians, is highly relevant in relation to the narrative sold by election pundits who talk about the other candidates with a straight face. All of these other politicians, with the exception of Bernie Sanders (whose record is not clean when it comes to war), cavort with criminal neoconservative types, ‘carrying the water’ when it comes to war and the corporate lobbyist agenda. War and Washington cronyism has repeatedly thrown the average US citizen under the bus and large sections of the population understand this fact. The anti-corruption perspective is why I post stories on my blog – since 2007. It is corrupt Government, like what we see in the third world, that is the cause of the decline in the US standard of living. On my blog, if you click on the US election tag, you can see that myself and fellow blogger John-Michael Talboo (who lives in Pennsylvania), have been covering the Trump issue as reported in alternative media circles since he entered the race. 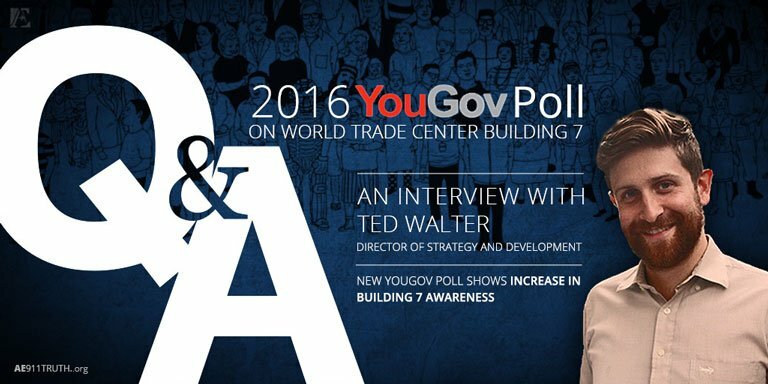 Architects & Engineers for 9/11 Truth: AE911Truth recently commissioned a survey by the online polling firm YouGov. Ted, can you talk to us about this survey? Ted Walter: Sure! First of all, prior to this survey, we had done three other surveys with YouGov. The first was a national US poll in August 2013 during the run-up to our ReThink911 campaign. The second was in Canada during the ReThink911 campaign, which we commissioned because of all the media coverage we were receiving there. The third was in December 2014, also in Canada, after a petition was submitted to the Canadian Parliament asking the government to open its own inquiry into 9/11. So this is our fourth YouGov survey — second in the US — and we did it at this time for two main reasons. First, we needed an update to our 2013 poll so we could reference more current results when discussing the public’s awareness and opinions surrounding Building 7. Secondly, we felt it was time to see if there had been any increase from 2½ years ago. The survey itself measures two things: One, how much awareness is there of Building 7’s collapse? And, two, what are people’s opinions on the cause of the collapse once they've seen it? Having this information guides our strategy on how to go about educating the public. Depending on the results, it can also be a part of our case for opening a new investigation. Based on what we found, we think these results will be a major part of our communications strategy in the lead-up to the 15th Anniversary this September. AE: And what did the survey find? TW: It certainly reinforces what we found out from the first survey: Awareness of Building 7 is limited, but when people are shown video of its collapse, a majority suspect it was a controlled demolition and support for a new investigation far outweighs opposition. We were also very pleased to see small but significant increases both in awareness and in the tendency to suspect controlled demolition and support a new investigation. 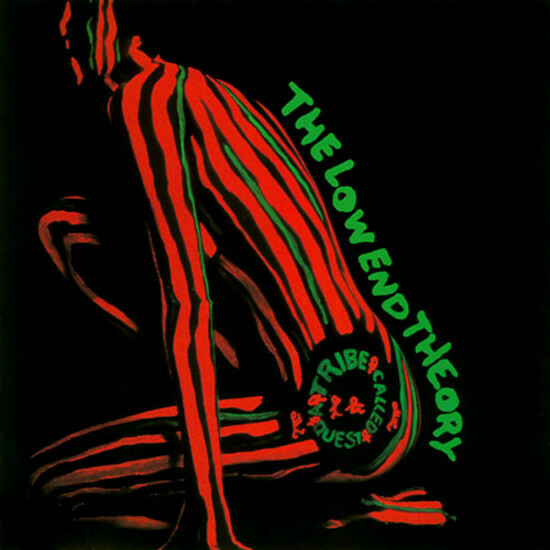 In other words, the needle has moved in the last 2½ years. AE: How many people were polled? And how were they polled? TW: The survey was conducted online with a sample of 1,098 respondents who were randomly selected from those who had already signed up to participate in YouGov's online polls. 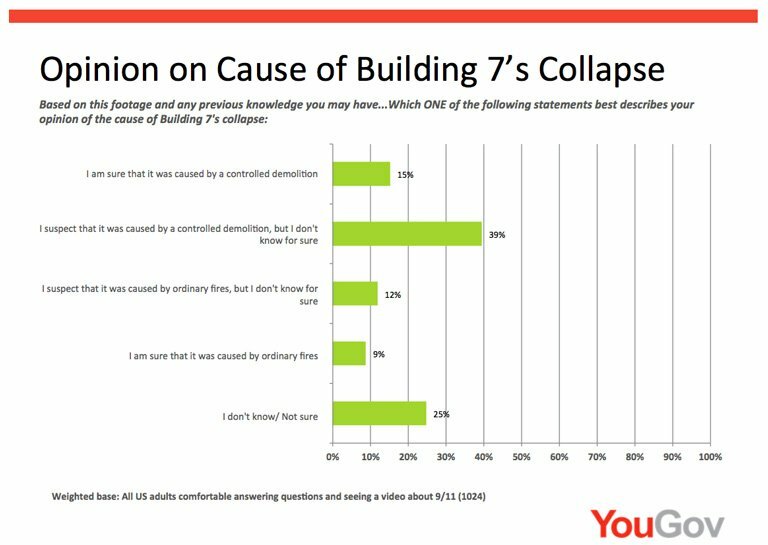 The great thing about working with an online polling firm is that it allows us to show the video of Building 7’s collapse and gauge peoples’ reactions, something that wouldn’t be possible with a telephone survey. AE: How does YouGov ensure that it selects a representative sample of the US population? TW: Well, it randomly selects a sample from its national panel of respondents to match a quota frame designed to be nationally representative, i.e., reflect the national population. It does this by setting 96 targets cells based on the age, gender, race and education level of people in the US (all interlocked with each other). They then weight to that sample frame. We know YouGov’s polling is accurate because it has been successful in predicting the results of elections for many years. AE: Was the survey identical to the one done in the US 2½ years ago? TW: Almost. I'll explain two subtle changes from the previous survey. 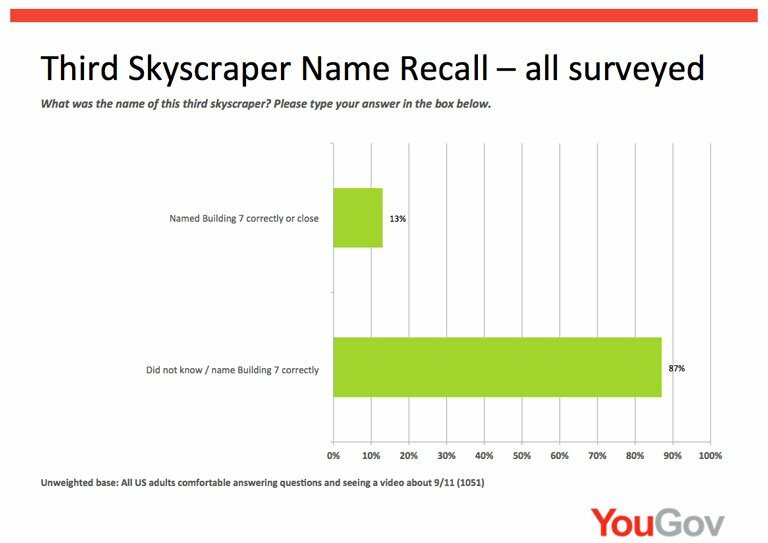 First, YouGov learned after conducting the earlier polls that some people were disturbed at seeing the video of Building 7. So this time YouGov wanted to add a question asking respondents if they would object to taking a survey that included a video of a building collapsing on 9/11. As a result of that new question, some 5% of respondents elected to skip the section with our questions. But we don't think the exclusion of those 5% pushed the results in one direction or the other. AE: What was the second difference? TW: This survey had only five questions. The previous survey had more questions relating to respondents' beliefs about 9/11. This time we omitted those questions both for cost reasons and because we didn't consider them as valuable in terms of what we wanted to find out. Both YouGov and we believe that omitting those questions did not have any major influence on the way respondents answered the questions they were asked. So, in the end, we believe it's valid to compare the results of this survey to the one in 2013 and see if there have been any changes over time. AE: Let’s go through the five questions and discuss the results question by question. What was the first question? TW: The first question introduced the fact that a third building in the World Trade Center complex collapsed later in the day on 9/11. It then asked respondents if they were aware of it. 61% said yes. That compares to 54% from the last survey. The size of that increase is worth highlighting. A 7 percentage point gain is definitely beyond the margin of error, and it translates to at least 15 million American adults becoming aware of Building 7 over the past 2½ years. AE: And the second question? TW: For those who were aware of a third building collapsing, we asked them to name the building. Here, they were instructed to type in the name of the building if they could recall it. 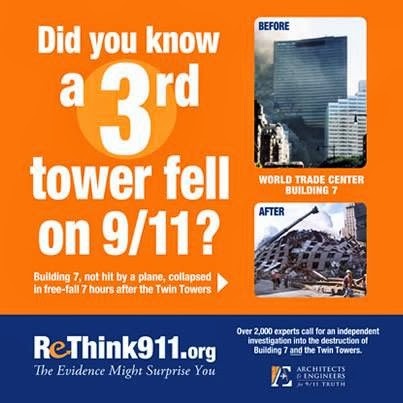 21% of those who were aware of the third collapse correctly named Building 7, which translates to 13% of everyone surveyed. Compared to 2½ years ago, it's a 3 percentage point increase, up from 10%. Given that it’s right on the edge of the margin of error, we can conclude there has probably been a small increase in the percentage of Americans who know the name of Building 7. That increase, if real, amounts to around 7 million people. Ultimately, this means that only one out of 8 Americans knows enough about Building 7 to recall its name. That may seem discouraging, but the flipside is that there’s also huge room for growth. AE: And what did the third question ask? TW: This is where we move from the “awareness” part of the survey to the “opinion” part. First, we showed them video of Building 7’s collapse from four different angles. The video lasts about 30 seconds and has no sound. 25% selected the last answer, “I don’t know.” That’s certainly understandable, as most people are seeing it for the first time and don’t have the knowledge to judge one way or the other. 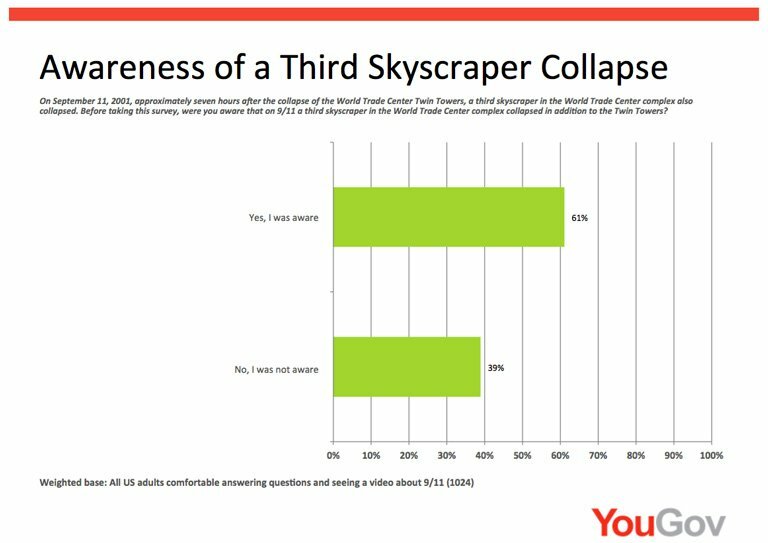 But by far the most common answer was people who suspected it was a controlled demolition, which was 39% of respondents who agreed to see the video. When you group that together with the 15% of video viewers who said they were sure it was a controlled demolition, we get 55% (combining the unrounded percentages). By contrast, only 21% of video viewers said they suspected or believed it was fires (12% suspected, 9% were sure). In other words, more then twice as many people suspect controlled demolition over people who suspect fires. That’s huge. It's also a 9 point increase from the previous survey in terms of the percentage of people who suspect or are sure it was a controlled demolition. Again, that’s well outside the margin of error and translates to an additional 22 million Americans being more likely to suspect controlled demolition if they see the video of Building 7’s collapse — which, of course, is our goal. AE: Are there any differences in how various demographic groups respond? TW: Indeed, there are. We see the biggest disparities among different age groups, races, and levels of educational attainment. In the youngest age group (18 to 34 year olds), a full 59% suspect or are sure of controlled demolition, which is somewhat higher than the overall sample. I'd attribute that to the general open-mindedness of younger people and also to the fact that most of the 18-to-34 group were kids in 2001, so they may be less traumatized or identify less with the official narrative. In the middle group (35 to 54 year olds), 53% side with controlled demolition. And in the oldest group (55 and older), 52% attribute the collapse to controlled demolition. Next, the results based on race. The highest percentage in the entire poll is this one: 67% of African Americans either suspect or are sure of controlled demolition, compared to 55% of the overall sample. The difference is actually entirely driven by the percentage who are sureof controlled demolition: 29%, or almost three of 10, among African Americans, compared to 18% of Hispanics and 12% of Caucasians. Meanwhile, the respective percentages of people suspecting controlled demolition are 39%, 41%, and 40%. As for educational attainment, there are strong differences there as well. Among high school graduates or lower, 61% suspect or are sure of controlled demolition. By comparison, 47% of those with undergraduate degrees suspect controlled demolition and 50% of those with post-graduate degrees fall into that camp. AE: What do you make of the disparities based on education? TW: In the simplest sense, I would guess that the less formal education one has, the less likely that person will be to have faith in the government and the more open he or she will be to questioning the official account of 9/11. By contrast, someone with many years of schooling will tend to have more faith in the government and other institutions. So when he or she sees Building 7 go down, they are more likely to reject the notion that it was a controlled demolition, because that implies something's wrong with the official account of 9/11. AE: What did the fourth question ask? TW: The fourth question explains that an agency of the US government has concluded that fires brought down Building 7, but that critics, including a group of more than 2,000 architects and engineers, challenge the government's findings and argue that only controlled demolition can account for Building 7’s collapse. 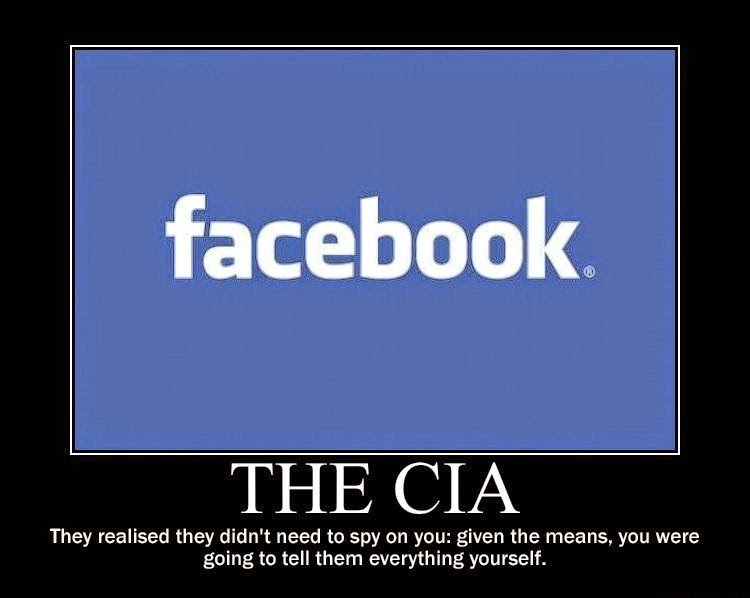 It then asks, who are you more inclined to believe — the government or the critics? AE: How is this question different from the third question, which asked their opinion of what caused Building 7’s collapse? TW: Well, this question is measuring something slightly different in that it attributes the two theories to two different parties and asks respondents which party they're more inclined to believe. It helps us understand whether the public is less accepting of controlled demolition once they know it contradicts the government’s account. It also allows us to point directly to the number of people who side with us and our position. As with our three previous surveys, we find a slight decrease in people's belief in controlled demolition once they understand which side has taken which position. Here, 49% of video viewers said they are more inclined to believe the critics, compared with 55% suspecting controlled demolition in the previous question. Nevertheless, we have 49% who are more inclined to believe the critics and just 24% of video viewers who are more inclined to believe the government’s conclusions. That's a whopping 2-to-1 majority. In terms of demographics, we don’t see large disparities based on age or race, but we do see a very strong correlation with educational attainment. 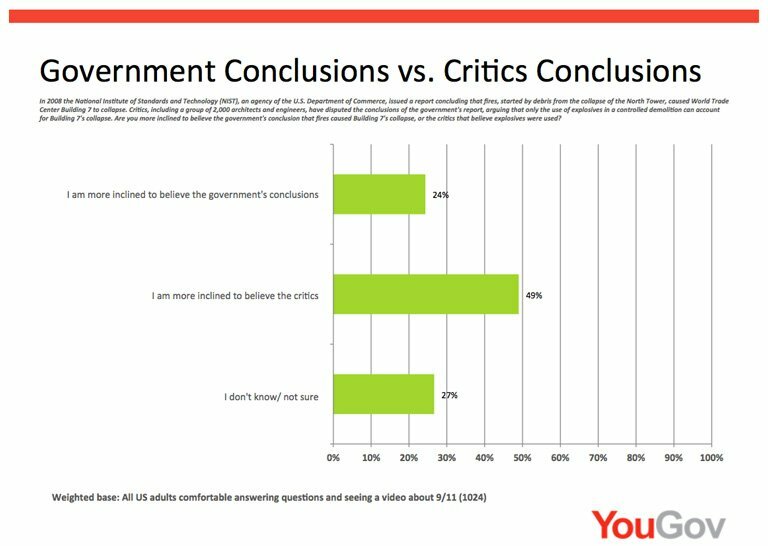 For high school graduates or less who viewed the video, 53% are more inclined to believe the critics compared to 21% who are more inclined to believe the government. We then have 49% to 21% for those with somecollege or 2-year degrees who viewed the video, 47% to 29% for college graduates who viewed the video, and an even split of 37% to 37% for post-graduates who viewed the video. AE: What do you make of this correlation? But I think the results are still encouraging. We have an even split among post-graduates, and among college graduates we have 47% saying controlled demolition to 29% saying fires among those who viewed the video. Clearly, seeing Building 7’s collapse is very powerful. The majority — even among more educated groups — can see it for what it is: a controlled demolition. AE: What was the fifth and final question in the poll? TW: The last question asked the extent to which they'd support or oppose a new investigation into the destruction of Building 7. The options were: (1) strongly support, (2) support, (3) neither support nor oppose, (4) oppose, and (5) strongly oppose. The answers to the first two options total 48% of video viewers (22% strongly support and 26% support). The answers to the last two options total 17% (11% oppose and 5% strongly oppose; the sum is 17% of video viewers when you use unrounded percentages). That’s a massive majority of nearly three-to-one. Another way of viewing it is how incredibly small the minority of people is that oppose a new investigation. We’re talking just one in six Americans. That being said, the sizable 29% of video viewers who neither support nor oppose a new investigation is also important to note. What we might be seeing here is a serious level of indifference. That indifference is as much an obstacle to achieving our mission as is outright resistance. Still, though, we've made a lot of progress from 2½ years ago, when 41% supported a new investigation and 21% were opposed. Basically, we've gone from a nearly two-to-one to a nearly three-to-one majority in less than three years. That's a good sign. AE: Finally, how will the survey results guide AE911Truth in developing its strategy moving forward? 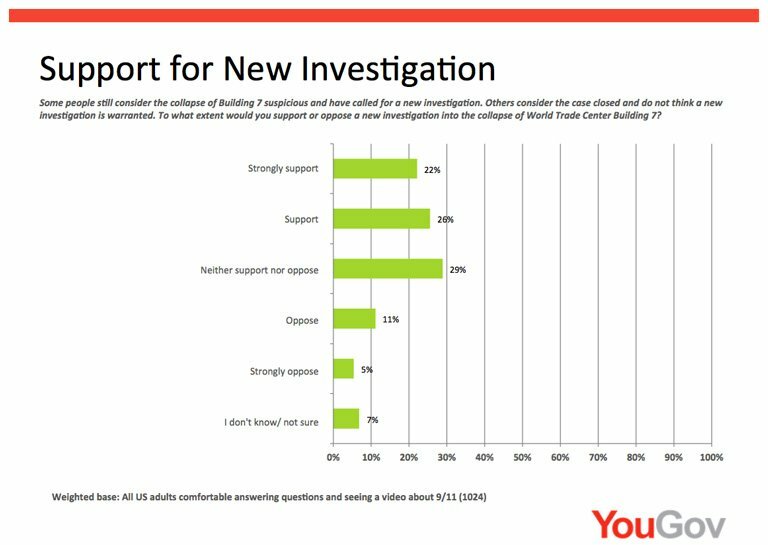 TW: I think the results make it quite clear that if we can reach widespread awareness of Building 7 — as in virtually every American seeing its collapse — we can generate enough support for a new investigation. How we reach that level of awareness is the question. All figures, unless otherwise stated, are from YouGov Plc. Any interpretation of the figures is provided by AE911Truth. Total sample size was 1,098 adults. Fieldwork was undertaken between 23rd - 24th February 2016. The survey was carried out online. The figures have been weighted and are representative of all US adults (aged 18+). SUPPORT THE SURVEY! This YouGov survey cost $3,000 to conduct. As of the publishing of this article, AE911Truth has raised a little over $1,500 toward recouping the cost. Chip in $20 or more by March 31, 2016 ($25 for non-US residents), and you’ll receive the newly-released 9/11: Decade of Deception DVD as a gift. Thank you! Reflecting back on this blog of mine from right after the election a few things come to mind. 1. I'm much more aware of division by race tactics now than I was then. "Obama landslide victory shows U.S. public does NOT support Negative Campaigning. Landslide Victory for the first mixed-race Black-White President, definitively shows that the MAJORITY of the U.S. public, especially young people, do not respond in the old way to Negative Campaigning, using coded Racism, and Xenophobia, Religious Bigotry, Stereotypes, and such Fear Messages as that. I couldn't agree more, and what a wonderful thing it is, but now we must go to work. It's all very interesting, because race relations should have seemingly improved because of Obama's election and I think they have, but not in the way I expected. Obama's failed presidency has paved the way for Trump and it's his candidacy that is opening up really honest and interesting dialogue on race relations and race baiting as in the first link above. 2. Donald Trump has already done more for 9/11 truth than Barack Obama ever did. But while Obama was doing nothing about it the message has spread far enough to reach Trump's ears. So can we endlessly demand that Obama address the unanswered questions of the 9/11 victims' families? Yes We Can! Trump's promise to declassify the 28 pages on foreign government ties to 9/11 is one he still must be held to, but Obama's promises are clearly going to be forever broken. Trump brought the issue up on his own, arguably bringing more attention to it than did Obama, who made his promises personally to 9/11 family members when asked about it. So less attention was given to the issue the way it came about with Obama and it's a less disgusting promise broken if Trump fails to make good, as it wasn't a face to face with two 9/11 victims' family members. Can we endlessly demand that Obama address the questions of the more than 500 architectural and engineering professionals that are "demanding of Congress a truly independent investigation into the “collapses” of all 3 WTC high-rise buildings on 9/11"? Yes We Can! We did endlessly demand this, even getting a peer-reviewed paper in the hands of Vice President Biden. Donald Trump's response to ae911truth.org is more satisfying than anything than Obama offered in 8 years. 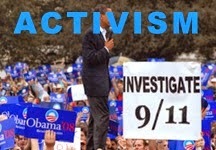 Can we endlessly pose to Obama the same question that Student Scholars for 9/11 Truth founder Justin Martell did early on in Obama's campaign when he asked the now President-elect "will you stand behind Dennis Kucinich and Ron Paul in advocating for a new investigation into 9/11?" Yes We Can! That is one that again must be pursued, but the timing made much more sense with Obama. Can we make it known that when The Guardian published the article, Obama Might Pursue Criminal Charges Against Bush Administration - Biden says criminal violations will be pursued, that a huge amount of Americans were excited. Can we prove that it is a huge amount of us? Can we make it known that Obama's concerns, quoted in the article, of being "perceived by Republicans" of being on "a partisan witch hunt" are unfounded in the face of the evidence? Yes We Can! Again, the time may have passed, but on the more timely issue of Hillary Clinton's email scandal, Trump says he will prosecute her if elected. 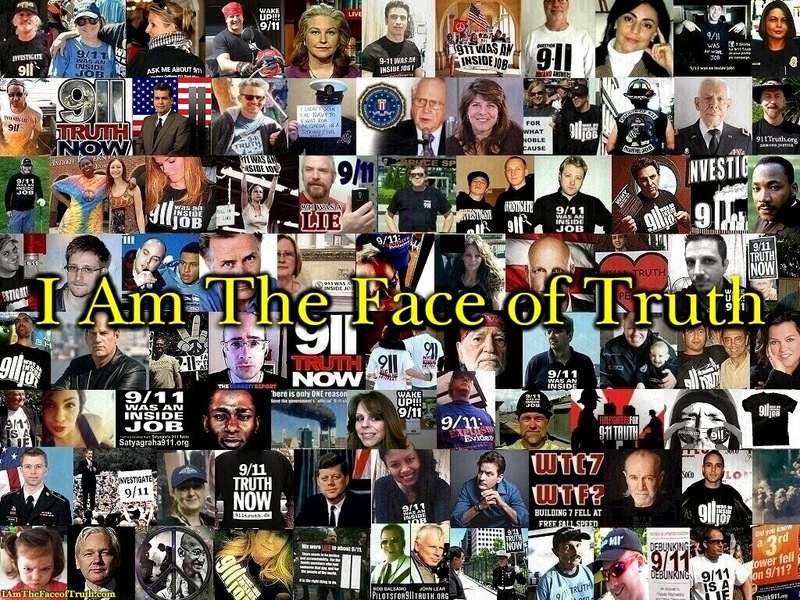 In sum, we must keep after Trump about 9/11 if he's elected, but in my opinion he's already done more for 9/11 truth and race relations than Obama, who strangely paved the way for both. Will Obama Keep His Promise to Declassify the 28 Pages After All? This Is What MSM Is Hiding At Trump Rallies - As protesters and Trump supporters clash outside of the Trump rally in Cleveland, OH a couple who support Trump and a Black Lives Matter member attempt to blur the lines of race and view the world from each others perspectives to better understand where they are each coming from. The mainstream media refuses to cover these interactions, instead painting all Trump supporters as vicious racists and continuing their strategy of divide and conquer. This is a very professional and good interview with Richard Gage. Those of us who have heard more than a few Gage interviews before will know the first section almost by heart. That said, he has refined his talking points a good deal, especially regarding WTC 7 and the "silent explosions" objection fueled by the so-called debunkers. In its 2005 report on the collapse of Twin Towers on September 11, 2001, the National Institute of Standards and Technology provided a hypothesis of the events leading up to the fall of the 110-story skyscrapers, which NIST called the "collapse initiation sequence." Regrettably, the report stopped short of examining how the two buildings actually came down. Now, more than a decade later, 9/11 researcher Jonathan Cole, P.E., has taken up where NIST left off. His newest multi-part experiment replicates the same physical principles that apply to World Trade Center Buildings 1 and 2. In it, he analyzes the observed motions of these towers as they fell symmetrically. Cole demonstrated his experiment at the inaugural 9/11 Truth Action Project Conference, held in St. Petersburg, Florida, on February 6. The videotaped version will later be released under the title 9/11: The Force Behind the Motion on Cole's YouTube channel physicsandreason and on fellow scientist David Chandler's website 911speakout.org. A civil engineer, Cole started studying the fall of the Twin Towers and WTC Building 7 in 2008. Since then, he has conducted several experiments with the goal of either proving or disproving certain elements of the official story of the World Trade Center's destruction. Some of his tests have explored the concepts of mechanical force and resistance. Others have demonstrated whether thermite can cut a steel beam and whether the sulfur contaminants found on some of the WTC steel could have possibly come from drywall — a theory posed by defenders of the official narrative. Although it's relatively easy to demonstrate what didn't happen to the towers — that is, a pancake-type collapse or the so-called pile-driver collapse — it's far more difficult to demonstrate what more likely did happen using explosives or some outside force besides just heat and gravity. I wanted to come up with a way to demonstrate this, so I started to work on some concepts about a year and a half ago, and finally was able to mimic some of the fundamental motions observed with the towers' fall. Cole's experiment is in three parts. That is, it studies the motion that would have been observed in the Twin Towers' collapse in each of the three main hypotheses that have been put forth to explain their destruction — the pancake theory, the pile-driver theory, and the controlled demolition theory. 1. The pancake theory was first advanced by the US Federal Emergency Management Agency (FEMA), with the assistance of the American Society of Civil Engineers (ASCE), in September 2002. That theory was later abandoned when the investigation was handed over to NIST. Cole's model to test the pancake theory uses a series of evenly-spaced planks and a tall wood structure with cleats that hold the "floors" in place. He drops a 20-lb. block of steel from about 10 feet above the structure, observing the motion of the block as it hits each floor. The idea is to see if it continues to accelerate due to the ever-increasing accreting mass, or if it decelerates due to the resistance given by the floors. This experiment proves that pancake collapses, had they occurred, would have caused the fall of the Twin Towers to rapidly decelerate as the top portions hit the undamaged floors below. Yet videos taken of the actual fall of Buildings 1 and 2 show no such deceleration. 2. The pile-driver theory, which NIST adopted in its official report published in September 2005, draws from the mathematical papers of Professor Zdeněk Bažant of Northwestern University. This theory alleges that the tops of the towers acted as pile drivers, crushing the stronger, larger structures below the floors where the airplanes hit each tower, respectively. Once the lower sections were crushed down, this theory asserts, the tops of the buildings crushed themselves. To test the motion involved in the pile-driver theory, Cole constructed a representative floor system, with the top floors dropping on floors below to simulate the upper block of a tower hitting the lower block. He secured steel-pipe guide rails in a concrete base and drilled holes in the top block (above the airplane strikes), which allowed those upper floors to slide unimpeded down the guide rails in order to keep the system straight (otherwise, they would have fallen over upon impact). The motions observed in both of the above tests, however, bear no resemblance to the motions observed in the crumbling Twin Towers. As Cole's experiment confirms — and as a 2009 Tony Szamboti-Graeme MacQueen paper, "The Missing Jolt: A Simple Refutation of the NIST-Bazant Collapse Hypothesis," explains — there would have been a significant deceleration of the top blocks above the airplane-damaged areas as they hit the lower sections beneath. The calculations that Szamboti and MacQueen made based on watching a video recording of the North Tower coming down showed no measurable deceleration of the top block as it collided with the bottom one. 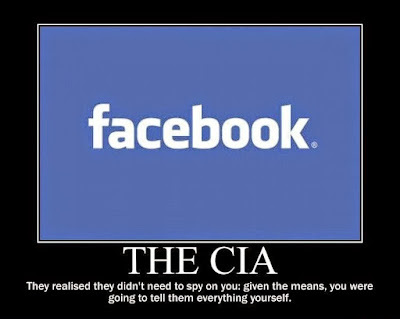 The public tends to jump to conclusions. To them, it seems "logical" that tall structures would simply collapse straight down once that downward collapse was started at the top. But the reality is quite different. That's why engineers, like nature, generally design tall structures so that they are structurally tapered and stronger the lower it goes. Think of a big tree, a giraffe's neck, or a stadium light pole. They are all tapered and all get stronger at the base. The same was true of the Twin Towers. The lighter top can't drive itself down into the stronger, undamaged base. If it could, lumberjacks could top a tree and expect it to drive straight down through the trunk, making a huge pile of sawdust. Obviously that won't happen, even if weakened by cutting or hit by lighting at the top. Rather, the downward motion would come to an abrupt stop, and the top would tip over. 3. To test the theory of controlled demolition, which is supported by Architects & Engineers for 9/11 Truth, Cole built a model with supporting walls made out of paper and matchsticks. In his presentation earlier this month, he used firecrackers to set off explosions on each wall of both "towers." Compared to his pancake and pile-driver experiments, the motions observed from the explosives looked by far the most similar to what observers saw (live and on video) when the actual buildings were destroyed on 9/11. If you observe any object accelerating along a certain path, then the direction of the net force acting on that object is also in the same path. So, for example, if you shoot a semi-automatic handgun, the shell casing is ejected to the side and the bullet to the front. And after they leave the gun, both the bullet and the shell travel in a type of parabolic arc, neglecting air resistance. That means that the direction of net force on the bullet and the shell are also a type of parabola. Although they are different parabolas, fundamentally the direction of the net forces — the vector sum of horizontal and vertical gravitational forces — is basically the same. So while we may not be able to tell what caused the force, we can tell the direction of the net force by observing the direction of the motion. The direction of the net force applied is independent of scale, which is why a coconut launched from a catapult or a bullet blasted from a gun or a thrown bean bag all have similar motions, and therefore all have similar directions of applied net force — yet none of them scale whatsoever. We can study the trajectory of the coconut, the bullet, and the beanbag and understand that they travel in similar motions or paths, and therefore all have a similar direction of net force that caused the motion. AE911Truth will let supporters know when Cole posts the video of the experiment on his YouTube page. Other YouTube users are invited to mirror it, and viewers are encouraged to share it with friends on social media and forward it to scientific professionals with a request for feedback. After all, it's only by studying alternative collapse theories and comparing their dynamics to what was actually witnessed that we can come to a better understanding of what really leveled the Twin Towers on that terrible and tragic day. The Twin Towers on 9/11: Rapid Spread of Instability? Labels: The Twin Towers on 9/11: Rapid Spread of Instability? Tell Hillary Clinton to Give Saudi Arabia's $10 Million to Peace Organizations and the People of Yemen. 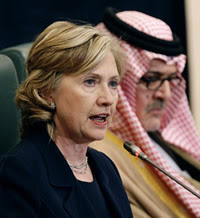 As Secretary of State, Hillary Clinton waived restrictions on selling weapons to governments that "donated" heavily to her family foundation, making it her personal mission to ensure that $29 billion worth of fighter jets were sold to Saudi Arabia -- despite the concerns of foreign allies and others in the U.S. government, including her department's and her own criticisms of Saudi Arabia. In the years prior to her becoming Secretary of State, Saudi Arabia had given the Clinton Foundation at least $10 million. The maker of the fighter jets, Boeing, gave another $900,000 to the Clinton Foundation while Clinton was Secretary of State and working on the sale. Those jets have been used by Saudi Arabia, with the assistance of the U.S. military, to kill many civilians in Yemen. The European Parliament has backed a ban on arms sales to Saudi Arabia. The United Nations has condemned Saudi air strikes that have killed civilians. We urge you to give the money your family foundation received from Saudi Arabia to antiwar organizations and to organizations providing humanitarian aid to the people of Yemen. P.S. RootsAction is an independent online force endorsed by Jim Hightower, Barbara Ehrenreich, Cornel West, Daniel Ellsberg, Glenn Greenwald, Naomi Klein, Bill Fletcher Jr., Laura Flanders, former U.S. Senator James Abourezk, Coleen Rowley, Frances Fox Piven, Lila Garrett, Phil Donahue, Sonali Kolhatkar, and many others.